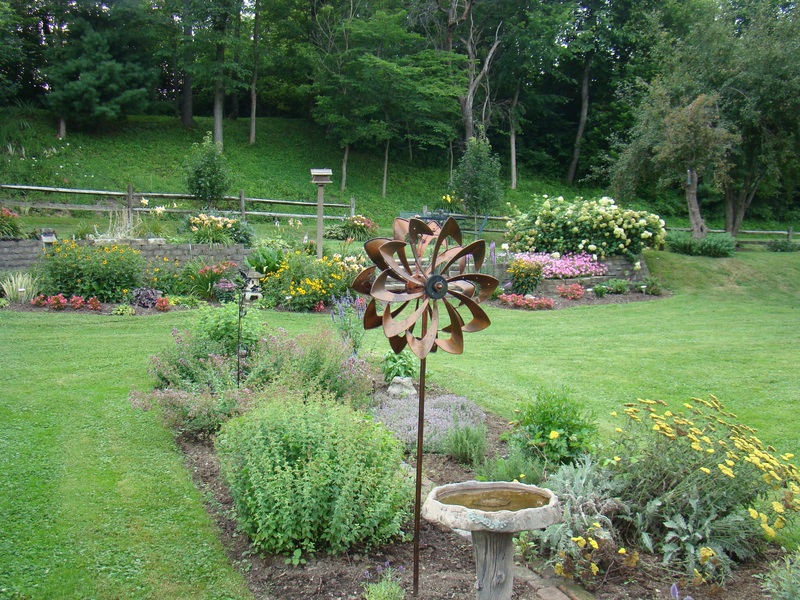 A beautiful flower garden reflects the caring of its owners. Sometimes we overlook the beauty in our small towns. On a recent walk through Lore City, the beauty of their flowers caught my eye. 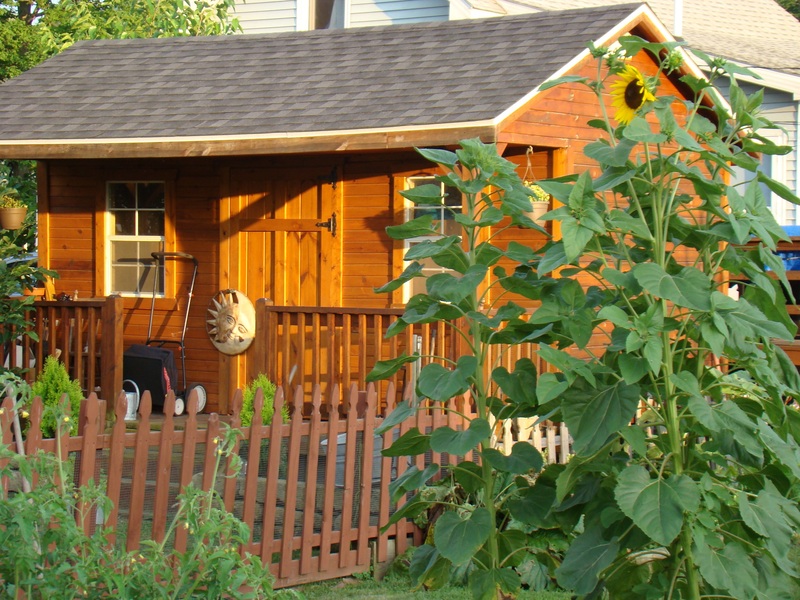 Several people throughout the town must spend the entire summer in their beds…flower beds, that is. Recent rains have made a lush covering of flowers this year, but that makes weeding more difficult and time consuming as well. These flower beds were cared for out of pure love for flowers. People still enjoy gardens for fresh vegetables. During a time when many people have given up gardening, this is not the case in Lore City. Here gardens thrive and townfolk are quite proud of their fresh vegetables. Gardens brimming with vegetables and flowers provide a popular mix throughout the town. Beautiful flowers brighten this country home. On a back country lane, one home stands out above the rest. This land previously was home to the now abandoned coalmining town of Goodyear. Back in its heyday, twenty-seven homes stood along this now rutted lane with grass growing down the middle. On a bank above the home is the place where the railroad track previously took coal from the coal mine. This old hand pump was used when Goodyear was an active coal mining town. Along the way, you even find a remaining handle pump that was used during the time that Goodyear prospered. 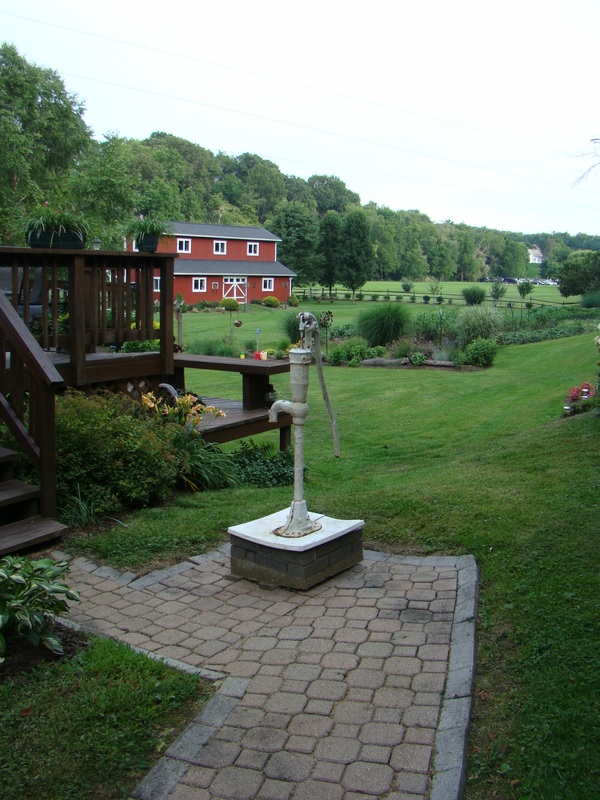 One water pump would be used for two homes. It still works today! 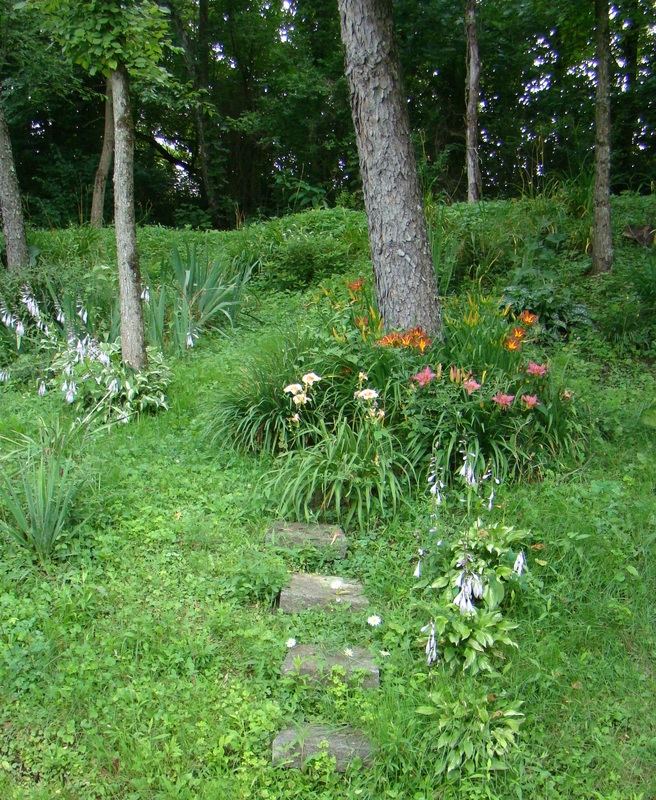 Flowers line the steps to the old coal mining road. When the flowers get overcrowded in their beds, rather than destroy them, some folks have attempted to plant them on the hillsides. A clump of day lilies or coneflowers give added color to the slopes. Ten foot tall Sunflowers were beginning to bloom. Even the backyards are filled with flowers. One last stop for the day led to discovery of beautiful sunflowers over ten feet high. Now, over the years sunflower seeds have been planted at my house, but no plants have ever grown. Oh, to have beautiful sunflowers like these. 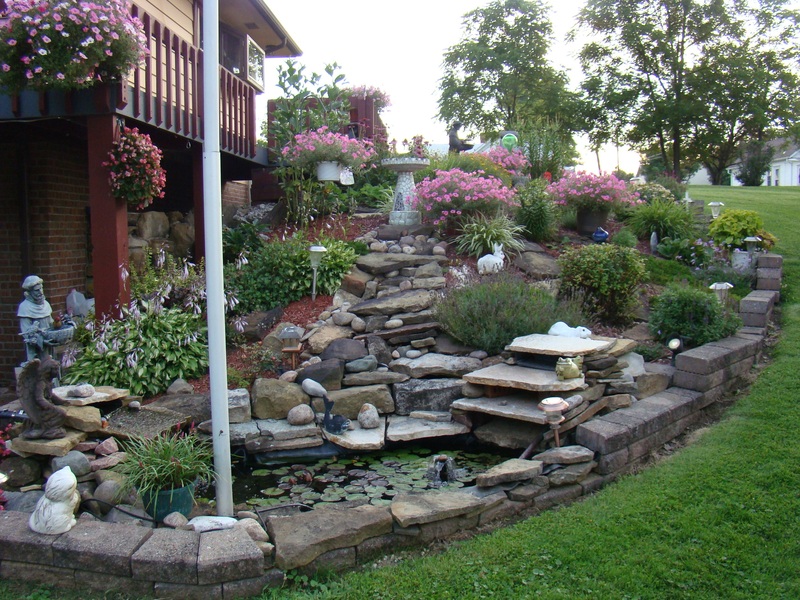 Beautiful flowers and stones surround a small koi pond in a neighbor’s yard. Then, as I drove out of town, a lady was working in her beautiful flower garden with a small koi pond. The care these people give their gardens is amazing. As they pull weeds and pinch blossoms, their mind is filled with nature and the problems of the world are temporarily forgotten. Every small town has its beauty, if we have eyes to see. 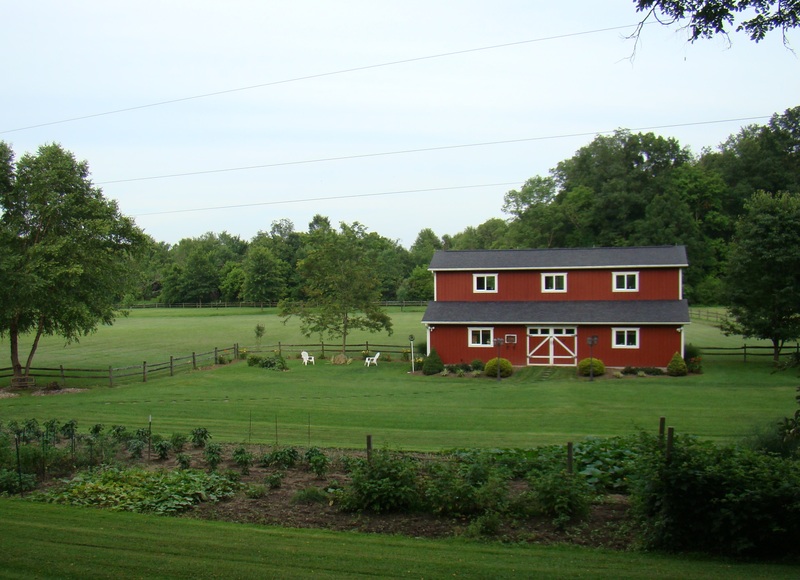 Lore City is located in southeastern Guernsey County on OH-285 about ten minutes from Cambridge in the rolling hills of beautiful Ohio. The place looks like a fairyland; an area used for postcard photography! Ohio should put this town in an advertising brochure. Great job, Bev!! Sometimes we find beauty in the most unexpected places. 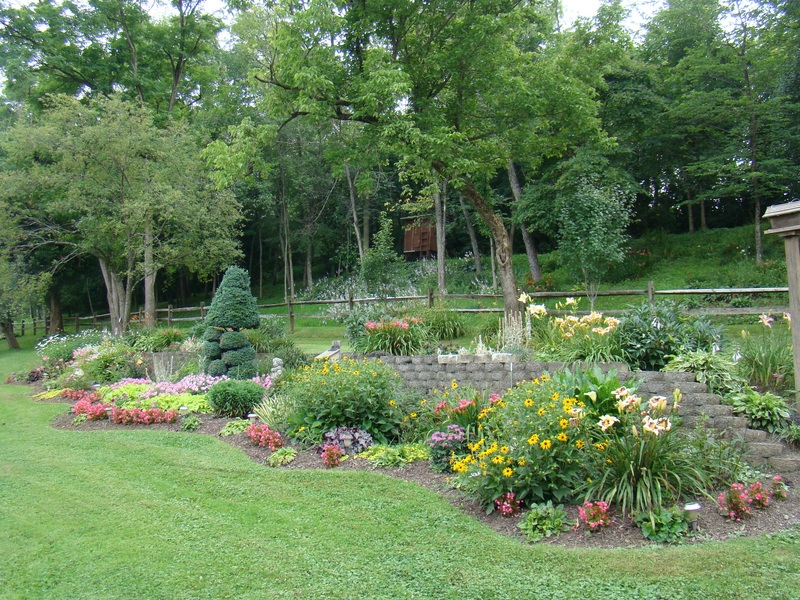 This small town has a big heart when it comes to caring about its gardens.